“Don’t you think it would be great fun to use a cushion shaped like a chub mackerel which looks smelly inside your room?” This product was created based on such an idea. 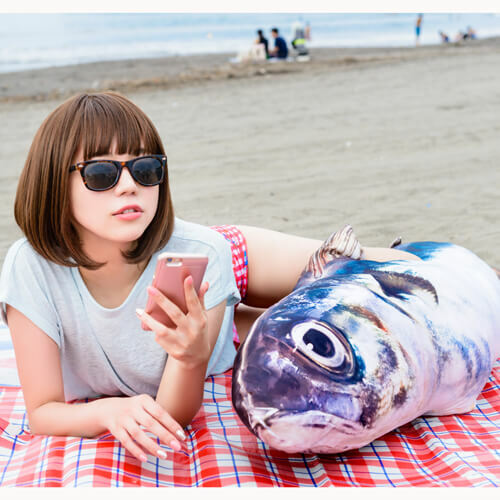 The huge chub mackerel cushion cover produced by the project “MOCOLLE” which commoditizes many fun products, will be sold at Village Vanguard Online. The length of this cushion cover is 180cm. Chub mackerel can be divided into three types, common mackerel, southern mackerel and Pacific mackerel and they decided to use the motif of the common mackerel. They say that they created this product through a trial and error process to print the gradation of the belly nicely. Since mackerel does not have squama, they put much effort into printing the common mackerel precisely. It is recommended that you put clothes you are not using inside the cushion cover so that you can use it as a huggable pillow. Don’t miss this chance to get this unique cushion cover. 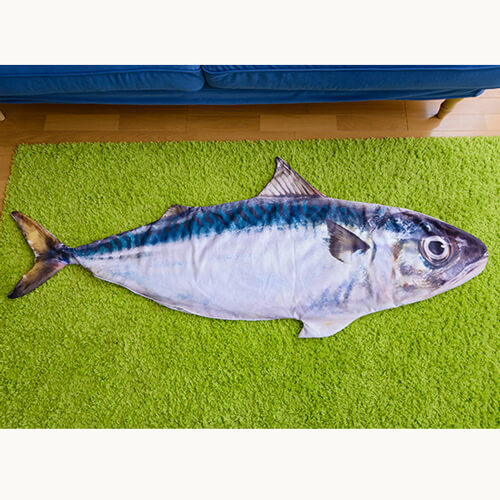 If you have this common mackerel cushion lying around in your room you will for sure never feel lonely, even if you are living alone.